Don't miss out. There's only 5 available and 12 other people have this in their cart right now. Don't miss out. There's only 1 available, and 12 other people have this in their cart right now. Thin handcrafted hammered sterling silver hoop earrings feature hollow curved tubes. * Inspired by the one and only Joanna Gaines from Fixer Upper. These seem right up her alley! 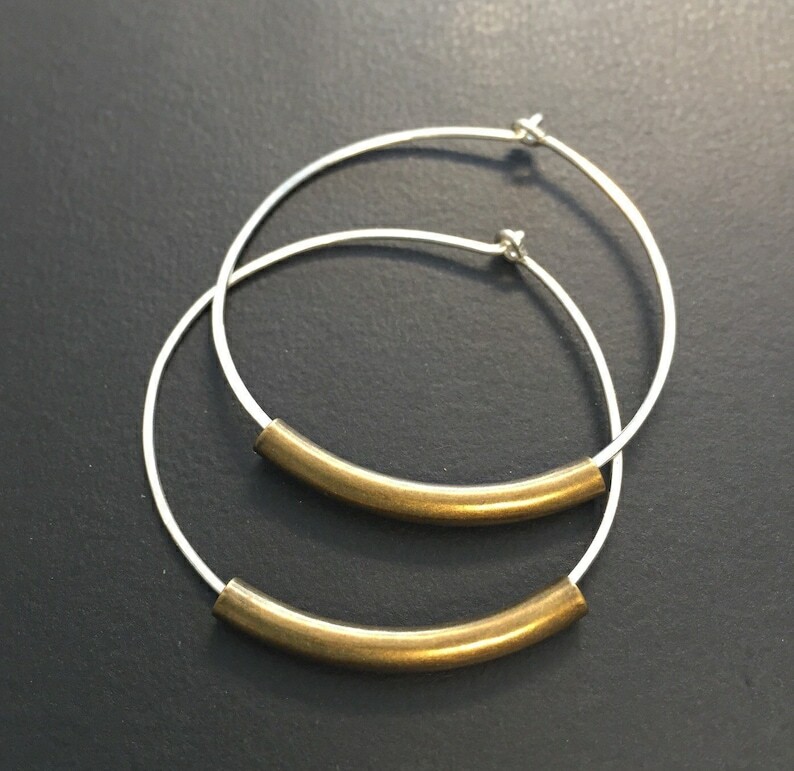 These sterling silver hoops are available with Shiny silver, shiny gold or antique gold/brass tubes, Swipe left to see options. Please select your tube finish in the drop down menu. Favorite new piece of jewelry! Very light! The earrings are pretty but are more delicate than pictured. They do look nice on. I thought it would be a larger hoop.